New Year's Eve cruises & dining options at Docklands - Book now! As 2009 draws to a close, you may like to consider the following options for New Year's Eve. At Docklands, there are plenty of ways to celebrate New Year's Eve starting with the annual dinner cruise on board the grand vessel "Voyager". The 3.5 hour cruise includes a three course meal, open bar with standard drinks (spirits, wine, beer, soft drink), live DJ with spacious dance floor, all with a prime view of the fireworks along the river. Bookings: You can book your place online or phone (03) 9285 0000. There are also a range of special dining events taking place at a variety of Docklands restaurants. Each dinner includes canapes, a three-course meal, a glass of sparkling wine on arrival and a prime view of the waterfront fireworks. To check out which restaurants are hosting events and to book your table, click here. At Waterfront City, the fun continues with free activities for the whole family. Live entertainment kicks off at 6pm all the way until 1am with DJ Mark Anthony who will be playing everything from funk and soul to commercial top 40, house and retro '80s. The programme also includes the Gee Whiz Kids band for the youngsters, and performances from 10-piece band Alchemy and Australia's leading funk act, Nudist Funk Orchestra. 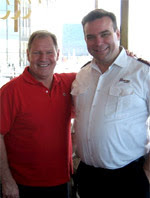 This year, Lord Mayor Robert Doyle has been confirmed as a volunteer at the Salvation Army Christmas Day Brunch. Held at Mecca Bah Melbourne, those attending are frequent users of the Salvation Army’s services throughout the year. Volunteers for this annual event contribute their time by driving guests from the Salvation Army on Bourke Street to Mecca Bah, and spending time speaking with those in need of a listening ear. Melbourne’s Lord Mayor Robert Doyle has been a regular supporter the Salvos Christmas. This is the 5th year that Mecca Bah has participated in this event. Finish your Christmas shopping at Harbour Town this weekend. There is a wide range of stores to choose from and throughout next week there is extended trading hours - click here to read more. Meanwhile you might just pick yourself up a bargain at the Docklands Sunday Market at Waterfront City Piazza. Located just off of Docklands Rd, near the corner of Doepel Way, you can find everything from arts to antiques, books to beauty. It opens from 10am to 5pm. The Australian Open is heading to town and many of the city’s eclectic restaurants, bars and cafés are set to offer you a grander slam for your buck. Get ready for a greater taste of Melbourne with Summer Serve’s special offers on city dining. There’s no better time to savour all that Melbourne has to offer, including a myriad of quality food establishments and diverse cuisines prepared from the freshest of produce. Mention "Summer Serve" at any of the participating venues from 11 January to 28 February 2010, and receive two entrées for the price of one. Conditions apply. - Experience warm hospitality along with traditional Italian cuisine at Bellissimo Cucina & Trattoria. - With absolute river frontage, stunning views and an impressive range of menu choices, BlueFire Churrascaria will excite, invigorate and surprise. - “Sharing Your Passion for Quality Meat and Wine” Butchers Grill boasts a Mediterranean style menu full of quality Victorian meat. Nearly everything on the menu is cooked over an open grill, which means a healthier meal for diners. - Fish Seafood Grill is bound to impress lovers of fresh seafood in a smart casual venue with floor to ceiling views of the harbour. - With panoramic views of the CBD and Victoria Harbour, Livebait sets the tone for contemporary seafood restaurants. - Enter Mecca Bah and you will feel like you have stepped into a Moroccan eating house albeit with a uniquely Melbourne twist. - Saganaki offers modern Greek cuisine right on the water at NewQuay Docklands. - As the name suggests – Steakhouse is all about the steak. - Yum Cha Dragon is located along the waterfront and specialises in the lively and social "yum cha" style dining. Patrons must quote ‘Summer Serve’ when ordering to redeem two entrees for the price of one. Summer Serve offers are valid from 11 January to 28 February 2010 only. Additional conditions may apply at individual events. Please check thatsmelbourne.com.au or contact participating venues directly for full redemption details. Summer Serves are for entrée sizes only, and are not available in conjunction with any other offer, discount, deal or promotion. Bookings are recommended to avoid disappointment. While every effort has been made to present accurate information at the time of going to print, City of Melbourne takes no responsibility for errors or changes made to the promotion by individual participating partners, including their withdrawal from this promotion. It'll be Super Tuesday every day when you sign up for Rivers Platinum Club - for free! It's super news for all you Super Tuesday fans out there. The popular dining offer has been extended to next year with a fantastic bonus - every day can be Super Tuesday when you sign up to become a Rivers Platinum Club member. That's right, simply apply to be a member (for free!) and you can save 50% off lunch EVERY DAY and dinner every Tuesday. Yes, really! Begins 2nd January 2010 - apply now! Conditions: Regular Super Tuesday terms & conditions apply. To receive discount, customer must present their Rivers Platinum Club Card or sign up to receive a membership at the restaurant. Excludes public holidays. Not valid during December. Offer also applies to existing Rivers Platinum Club members. 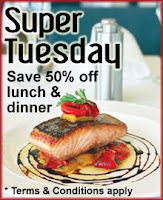 NOTE: The "Super Tuesday Every Day" offer will start from 2nd January 2010 and will continue until further notice. Updates will be made available online. Reminder: Tomorrow is Super Tuesday at Docklands and another chance for you to save while you dine at a variety of restaurants. How does it work? Simple, all you have to do is order a minimum of main + dessert, you will automatically receive 50% off your food bill. Available for lunch and dinner every Tuesday, why not try out this deal at Mecca Bah for some some tasty Moroccan and Middle Eastern dishes. Other yummy options include Chinese, Italian and Greek. Or alternatively, click here for a full list of participating restaurants. 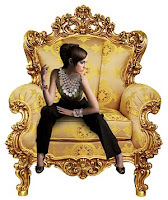 Super Tuesday not valid for groups over 15 people or with any other offer, event or discount. Excludes ‘Pasta Mista’. Not valid on take away menu. This weekend, get a jump on this summer’s hottest looks with a FREE fashion show from the stylish folks at Designers’ House. They are hosting two fashion parades on Sunday 13th December at Harbour Town Shopping Centre. Come on down at 1pm to catch all the bikini action. There will be music, models and all the latest summer styles for men, women and children from labels such as JETS, ML Denim, Rosemin, Little Joe and Modern Lovers. Lighting up Docklands with a mesmerising show of Christmas lights will be the 'Follow the lights to the Harbour' display. As part of the City of Melbourne Christmas campaign, the display can be seen on boats and yachts as they light up Victoria Harbour. 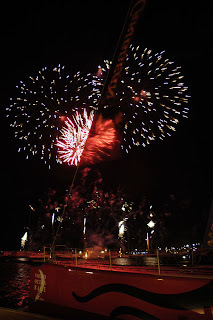 A definite sight to behold, you can catch the display from this Sunday 13th until 20th December. While you're at Docklands, check out the bargains on offer at Docklands Market at Waterfront City Piazza. Located just off of Docklands Rd, near the corner of Doepel Way, you can find everything from arts to antiques, books to beauty. It opens from 10am to 5pm. 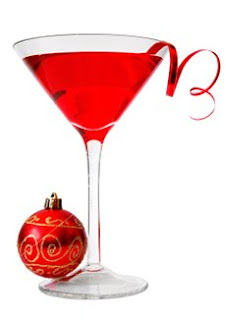 Celebrate the festive season with a Christmas cocktail at Docklands! You know what they say, Christmas is the season of drinking giving. So give yourself some festive cheer this month with a specially-themed Christmas cocktail. Celebrate the season with a drink after work or indulge in one of the deliciously-themed cocktails over dinner. Available for the special Christmas price of $14 each* at a range of Docklands restaurants (see list below). Come and try one today! *Please note: All the regular 'Happy Hour' cocktails are still priced at $9 each (normally $18). 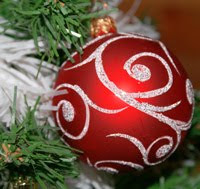 The Docklands Sunday Market will hold their 'Christmas Twilight Market' on Thursday 17th December 4.30pm to 8.30pm. Enjoy the special treats on offer from stallholders in the warm summer air. Bring along the family and take advantage of some great dining options after you peruse the stalls. Stall holders also welcome. A FREE Children’s Art Competition will also be held. 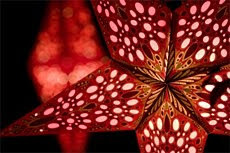 Kids can design their own Christmas cards and win some great prizes! Toy World, Pumpkin Patch, Monkey Mania, Action Zone, Black Light Mini golf, Market Fairy stall, Cheeky Face, Personalised Kids Art on canvas. Enter in your category - boys/girls under 6 years & under 10 years old. Enter on the 6th, 13th & 17th December. Winners chosen at Christmas Twilight Market at 7.30pm. Not doing anything this Thursday night? Then grab the family, a picnic and a rug and come along to the Docklands Carols at Victoria Harbour. You will be treated to performances by Contemporary Gospel band “Gospel Sunday”. There will also be activities for the kids, a sausage sizzle, and a Christmas-themed outdoor movie on the big screen, which will be screened as the sun sets. How to get there: Take Tram 48 and alight at the final stop in Merchant Street, Victoria Harbour. Super Tuesday: Book now for lunch or dinner tomorrow! Tomorrow is Super Tuesday at Docklands which means you can save big on either lunch or dinner (or both!) at a selection of Docklands restaurants. Available for lunch and dinner every Tuesday, why not try out this deal at Bellissimo for some some fantastic Italian dishes. Other yummy options include Chinese, Moroccan and Greek. Or alternatively, click here for a full list of participating restaurants. There is lots happening at Docklands this weekend. Kicking off the Christmas festivities, Santa's Breakfast at Harbour Town on Sunday will be a real treat for the kids. 100 kids will be entertained with a fun Christmas show and breakfast. Spaces are limited, so ring the Tourism Lounge on 03 9328 8600 to register your child. Meanwhile on Saturday, the Thomas & Friends Surprise Show will begin with three shows per day (excluding Mondays) and run until 20th Dec. The free sing-a-long show is an interactive experience and includes a dynamic a mix of performers, music and theatrical magic. Come and enjoy a Christmas tipple in the surroundings of the very green Urban Reforestation garden. The Docklands community is invited to check out the new garden while they sip on a few drinks and get stuck into some yummy BBQ. Where: The Promenade, North Wharf - near the end of Merchant Street at Docklands. With Christmas the season of gift-giving, give yourself a treat by winning a jewellery voucher to spend on The Maharani Collection. The Maharani Collection boasts a vast array of sterling silver jewellery and accessories for men and women including rings, bracelets, necklaces, pendants, anklets, cufflinks, ties and an array of gorgeous silk scarves and hair accessories. Custom designing your own jewellery piece is also a possibility - just come in store to discuss. We have four $20 jewellery vouchers up for grabs, thanks to the generous people at Designers' House, Harbour Town. To enter, simply tell us what piece of jewellery you'd love to treat yourself with by emailing discoverdocklands@gmail.com - don't forget to include your name and address too! Vouchers are only redeemable until 31st December 2009. They cannot be exchanged for cash. By entering this competition your email address will automatically be added to our mailing list. Please advise us if you do not wish to be added. There is no better time to throw on those dancing shoes and get active than over the summer months. At Docklands there are a few ways to get that booty shaking, whether it's for fitness or fun, or both! Learn some dance moves inspired by your favourite movies. Turn it on like John Travolta, help Muriel face her Waterloo, do the Bollywood thing with Jai Ho, or just try and put your Baby in the corner! 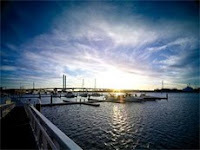 Make a night of it and have a night out at one the many waterfront restaurants at Docklands. Saturday, 13th Feb: Muriel's Wedding, Saturday Night Fever, Slumdog Millionaire. DANCE 101 is hosting this free dance event each Sunday from 5pm to 10pm. 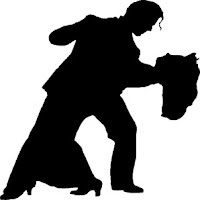 Learn the steps to all the popular ballroom favourites including Salsa, Cha Cha and Merengue. Open to all ages, levels and experiences from beginners to advanced. You are also welcome to sit and watch.